Brian Truesdale visits ISE during the 2018 Homecoming Weekend. Brian Truesdale, the president of Marmon Foodservice Technologies and an ISE alumnus, stays highly engaged with the Urbana-Champaign campus. He participates in the ISE Engineer in Residence program regularly, holds season tickets for football and has a son studying Systems Engineering and Design as he did years before. He was recently on campus to share his career experience with students as an Engineer In Residence and had a chance to share his story as an Illini and business leader. Before he became president over a group of 5 industrial companies with revenues exceeding $300 million, Truesdale was a student in General Engineering, during which time he worked on redesigning the process of polishing pans for cookware company Revere Ware as a senior design project. Since graduation, Truesdale has largely taken on leadership roles in in businesses across several industries yet attests to the usefulness of his degree, particularly because of its many specialization options. He assumed such roles throughout his career in several general management positions at Illinois Tool Works, a Fortune 500 company, and as Sector President at Marmon , a Berkshire Hathaway-owned industrial conglomerate. As a member of the ISE Alumni Board, he informs the department about the reality and demands of industry so as to better prepare students for their careers. Through his company, he has sponsored several senior design projects much like the one he worked on so many years ago, giving seniors a taste of being professional engineers. “We love sponsoring these projects and want to continue to do it for as long as we can,” he adds.Truesdale shows appreciation and admiration of the ISE program, praising its help in his own life and those of its many other graduates. 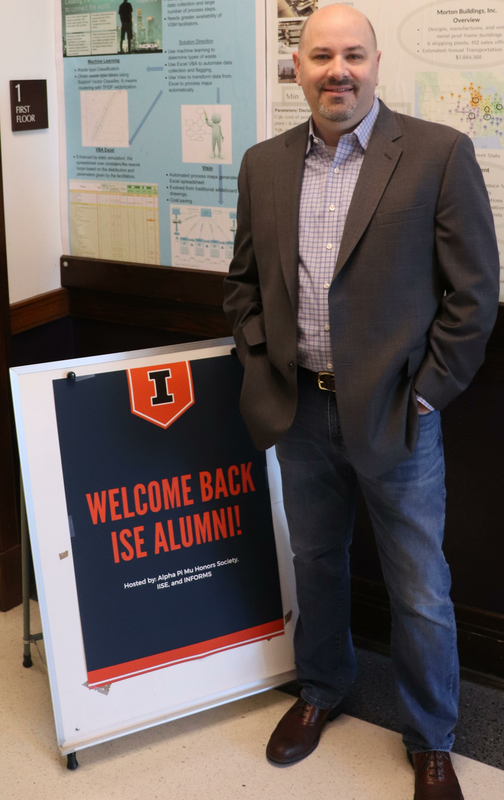 “I was hired because I had an engineering degree from Illinois, and I was hired by a company that recognized the breadth of skills and problem solving that the ISE program uniquely provides. I can honestly say that I wouldn’t be where I am without my Illinois engineering degree. The flexibility students have with an ISE degree gives them so many options for their career,” he says.